Human beings made mistakes sometimes they knew and sometimes they don’t know how big sins they are committing. There are many reasons for which people will be punished in the grave that could be ignorance of Allah’s commands and His disobedience. 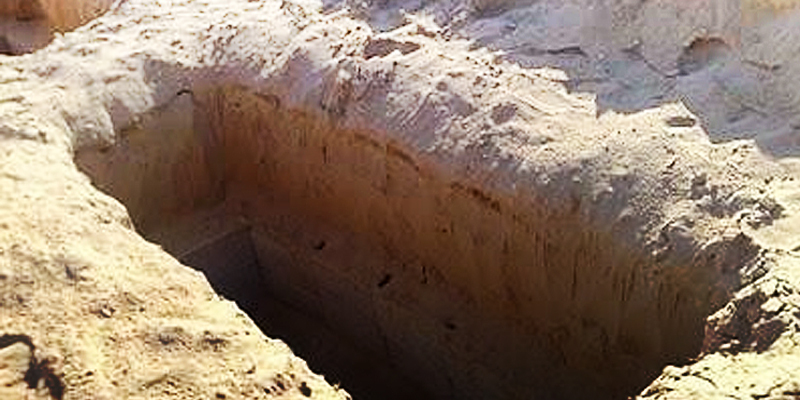 Punishment in the grave and in the Hereafter is due to the displeasure and anger of Allah (SWT) towards His slave. Whoever angers Allah Almighty in this world and does not repent, and dies like that, will be punished in the Hereafter by Allah Almighty. Allah Almighty disliked those for most who committed major sins in their life and didn’t repent to Him with the truthful heart. Major sins are those that are forbidden by Allah (SWT) in the Noble Quran and also by our beloved Prophet Muhammad (SAW) in His sayings. Allah Almighty says in the Holy Quran about major sins in these words: “If you avoid the great sins which you are forbidden to do, We shall remit from you your (small) sins, and admit you to a Noble Entrance (i.e. Paradise)” (Quran, 4:31). No matter how major or minor is the sin Holy Prophet (SAW) warned His Ummah not to commit them. Being a Muslim it is obligatory on us to avoid all kinds of sins and try to do good deeds in this worldly life so that we can live a happily ever in the hereafter that will remain forever. Below we will discuss some destructive major sins that every one of us should avoid; sadly these sins are very common in this modern era. 2) Hypocrisy is also one of the causes of the punishment in the grave. The hypocrites are those who most deserve to be punished in the grave. Allah Almighty says in the Noble Quran: “And among the Bedouins around you, some are hypocrites, and so are some among the people of Al‑Madinah who persist in hypocrisy; you (O Muhammad) know them not, We know them. We shall punish them twice and thereafter they shall be brought back to a great (horrible) torment” (Quran, 9:101). 4) Zina (adultery) is the major sin that will not forgivable until he/she who committed it to repent to Allah Almighty with a truthful heart and do not commit it again in his/her life. 5) Missing prayer is considered one of the major sins that will cause of punishment in the grave. On the night of Mairaj two angels showed Holy Prophet (SAW) people who are being punished by smashing a rock in their head for missing three obligatory daily prayers. So pray on time and don’t miss any of your prayers. 6) We must see backbiting as the most discussing thing in our society whether its Men or Women they tend to Gossip and backbite whenever they meet. Backbiting is one of the major sins try to avoid it if you want to not be punished.